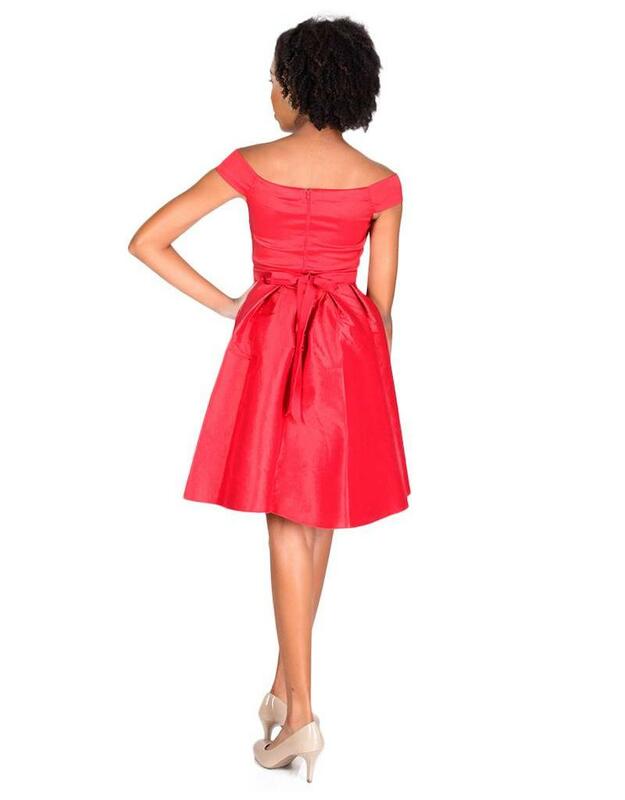 Create your signature style in this timeless fit and flare. The dress features off the shoulder design, cap sleeves and an accent bejewelled waist for the big bling. 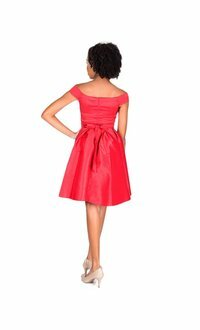 The skirt of the dress features big inverted pleats with a high low hemline. Totally glamorous this dress is perfect for your next formal wedding and is even better when paired glitzy necklace and clutch from our collection. Dazzle and impress in this off the shoulder bejeweled dress for your next wedding or formal event.